Placing Borknagar in any typical mold would undoubtedly prove difficult. Originally poised as second-wave black metal forerunners, the Norwegian sextet began distancing themselves from the acts of mass violence, blasphemy, and crime that had given the Bergen scene its identity. They chose to instead focus on the happenings of science and the world, a unique contrast from their peers. Now as the band pushes 20 years, it’s fair to say that their goal of achieving a sonically, ethnically, and atmospherically diverse sound has not only been realized, but far surpassed. Coming into Winter Thrice, I didn’t necessarily see it as a continuation of Urd; rather, it is a chapter all its own. Its melodic aspect is not only especially prominent, but also vital in potentially crossing over to newer listeners. Right from the first track, “The Rhymes of the Mountain,” there is plenty of clean singing—big harmonies are act as a central element, the soaring lead melodies creating an extra dimension of stimulation. 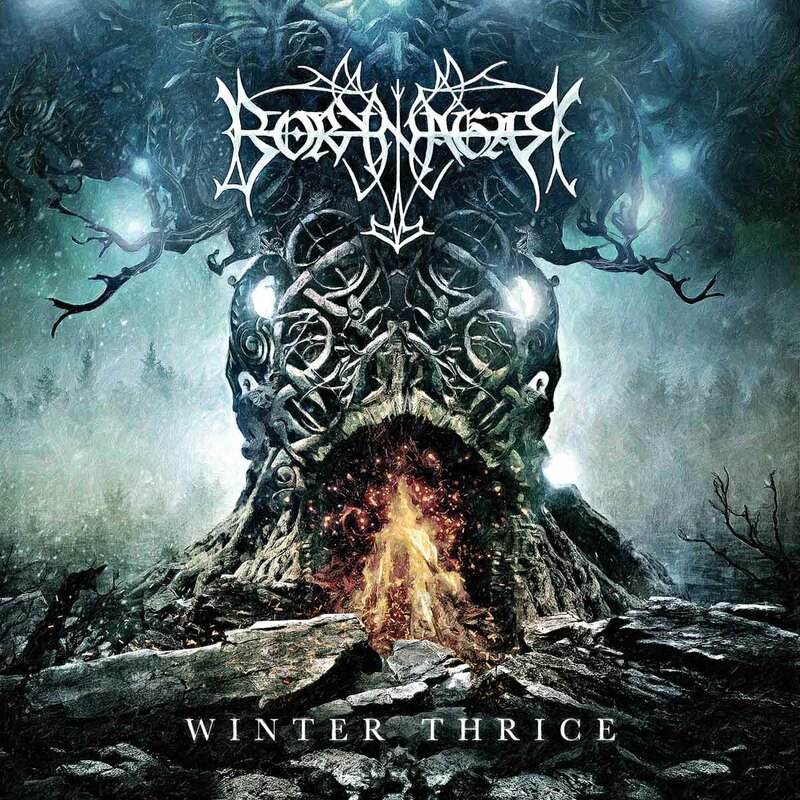 Regular Borknagar fans aren’t totally alienated, though, provided the band’s signature blackened elements remain strong. Vintersong’s grim vocals are opportunely utilized throughout, whether by means of enhancing his clean vocals or taking the lead. The initial double bass rhythms provide additional depth, which is complemented by a softer, warmer transition. Vintersorg then fires into a scream, effortlessly shifting between grim and clean vocal tones. During the chorus, the same melody from the break is carried over and makes its presentation better nuanced. By the 3:15 mark, that method is again integrated, as clean chords form a blanket of sustain over shredding guitars. Without missing a beat, the eponymous second track keeps impact at full force. This isn’t a structural throwaway by any means, as it simply indicates a sense of thematic progression. Former vocalist Garm provides lead vocals on this track, his tonality giving off a classic NWOBHM-esque edge. Also present are his harsh vocals, which emit a sense of familiarity and nostalgia. The general presentation sets an illusion of endless depth, supplanted by lyrical triggers such as ‘eternal,’ ‘nowhere,’ and ‘void.’ I liked how the harmonized leads establishes solid pacing, giving clear indication of wide-range vocal delivery each time. “Cold Runs the River” has an interesting dynamic about it, with its percussion acting as a texture in bringing focus toward the clean guitars. There is also solid vocal interplay in its lyrical delivery, comprised in a call-and-response fashion of screaming starts and singing finishes. Hook factor for this song comes through in the chorus as expected, but the bridge brings the heaviness to a certain peak. On “Panorama,” the observational aesthetic of the initial tracks is brought into full perspective. I could vividly envision a structure of arctic scenery being destroyed and rebuilt, which was an ideal fit for the progressive nature of subsequent tracks. It was refreshing to note how in each instance of varying tempos, the heavier moments felt just as impactful without the need for compensative grim vocals or involved solos. The latter part of the album puts a larger focus on dynamics, pacing the flow with the sedated-to-erupting “When Chaos Calls.” More of the visual nuances are particularly brought out by way of the clean “Submerged by the increasing sea level’s slaughter/It stirs our inner ocean,” and the screamed “Shores retreat in disarray/Melting glaciers lead the demise.” Toward the breakdown at the 3:45, I began having a deep appreciation for the extent to which the lush production values affected the presence of the harmonies. Even in the spots chock full of guitars, they end up surrounding those layers, sounding almost like fleshed out chords. “Erodent” continues in the same approach with a substantial clean guitar progression. Perhaps the most riveting feature of the song is the thumping percussion that assumes total command, from the beginning to end of each verse. Even better utilized are the harsh vocals over top those low end bass lines and deep tom rhythms. Eventually, the stylistic space expands even further out to suffice a shorter but significant length in “Noctilucent.” With a majority of clean phases, breathing room is integrated to showcase how active the active the bass is underneath the structures. Consider it a temporary reliever from the brutality or just another smart way to pace the album, but it works just as well. When I heard the final track “Terminus,” everything went full-circle from a stylistic and lyrical standpoint. Its intro/refrain melody is in a major key, contrasting from the album’s general tone but offering a sense of closure. That is, in its context of conquering those once dominant disasters of nature in order to ‘reach the end of the world.’ I found the song’s setup to encapsulate the best of both styles—from its blackened start, to its clean buildup, and back again. Garm returns to provide his vocals one last time, in a showcase that may feel bittersweet, but all the more sufficient and unified. Overall, Winter Thrice deserves its own footnote in the evolution of black metal. The production values are a true leap above anything in their modern catalogue, their raw and polished tendencies both utilized to great effect. Some longtime fans might assume that this album might be considered the start of a plateau. 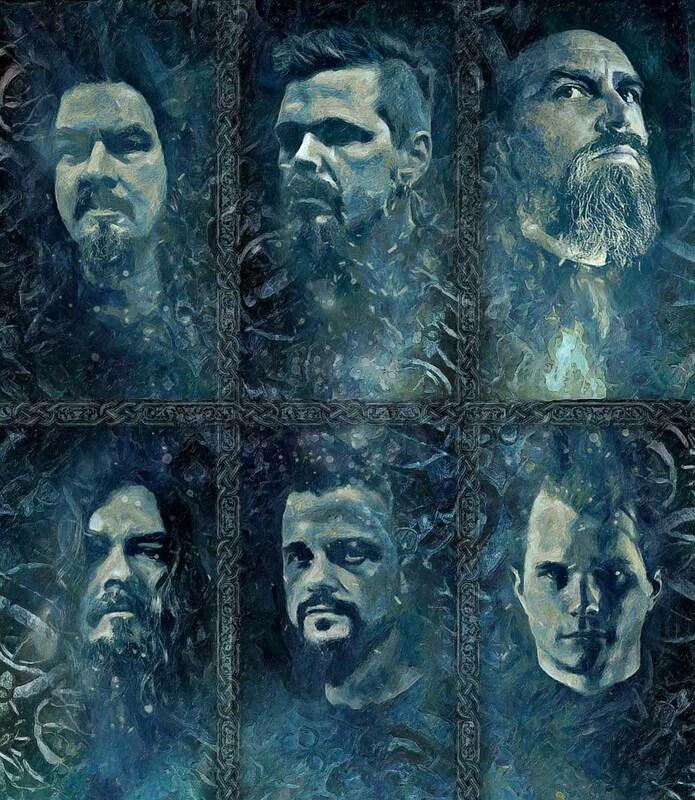 However, considering Borknagar’s legacy, it is a milestone to be celebrated—a two-decade journey that began amidst a bleak circumstance, and now peaks on a gleaming high.